Yesterday I shared how much fun my daughter has painting. 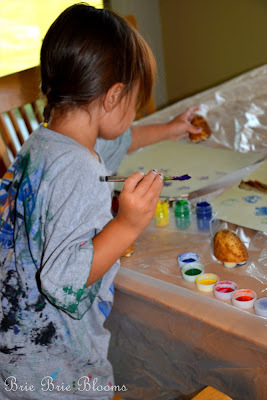 Today I’ll tell you how I avoid a huge mess when she is creating. 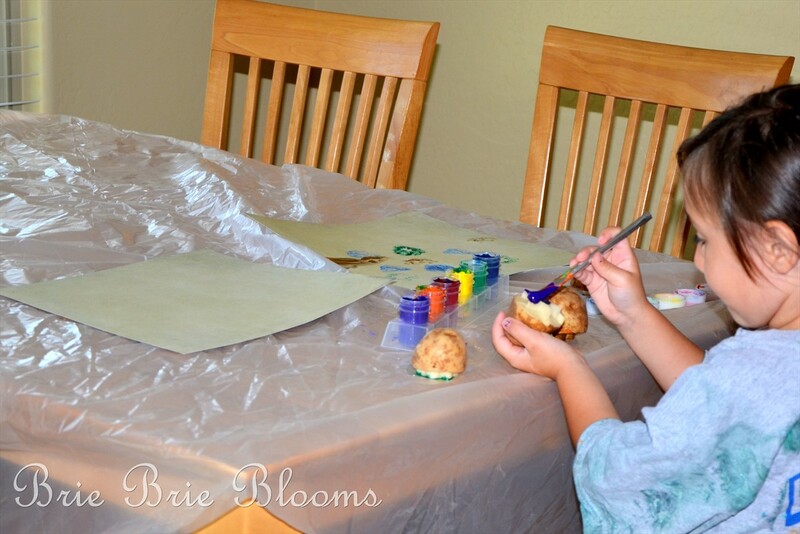 When working on small surfaces like canvas or paper I allow my daughter to paint at our kitchen table. This could easily end in disaster if I don’t take the time to completely cover the table. My absolute best tip is to use washable paint if you are anywhere near anything of importance. I’ve learned from experience. This morning my daughter was painting with potato stamps at the table. Notice the entire tabletop is covered in plastic. This plastic was purchased from a hardware store years ago and has been used many many times in our house. If you don’t have a large piece of plastic you can easily cut open a large garbage bag to serve the same purpose. My next tip when you are painting with children is to also cover them up. For the longest time my daughter insisted on painting naked. This wasn’t an option when we had visitors. You can use a craft apron or simply cover up with an oversize t-shirt. Clearly my daughter has painted in her designated paint shirt quite a few times. 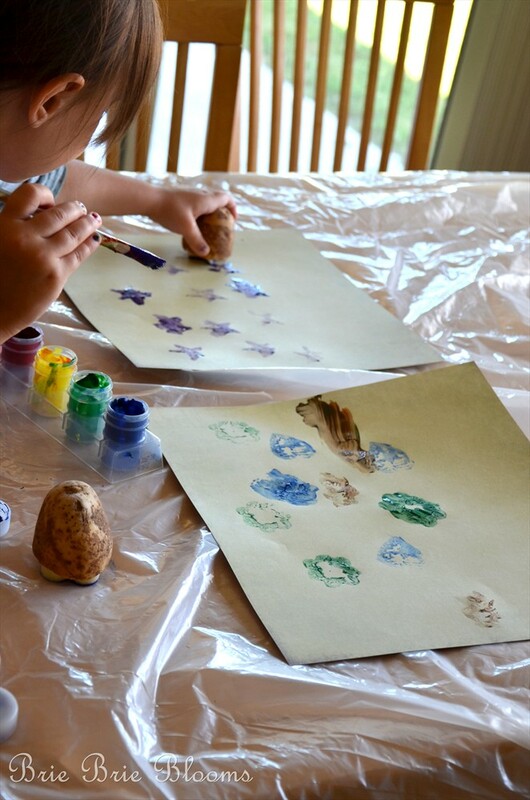 Hopefully by covering your surface and your child you will avoid spending too much time on cleaning up after the fun!